We spent 4 nights at the Bay Lake Towers. For our stay at the Bay Lake Towers at The Contemporary Resort, we had room 7818, park view, for four nights. This was our first time staying at this resort, a desire of my husband’s, and it was a lot of fun. More than I fathomed. Location wise, if you are thinking about spending a lot of your time at or around the Magic Kingdom or EPCOT, it is spot on. We broke up our trip, and the first half where we did spend our time at those park the most the BLT worked out amazingly. The monorail was easy to use, and we walked to the MK a few times as well. The walk was pretty quick and the girl enjoyed it. It was accessible with the main tower’s features/restaurants. The pool was something I thought was special. The way it was situated along the lake made it feel somewhat tropical; I felt like I was not in Orlando at all. The room was nice, and the layout was good for my family of four. The view from our room during the day was alright, with the parking lot in front and Cinderella’s Castle along side Space Mountain right behind it. This isn’t a complaint by any means cause it was pretty cool, during the day. At night though, holy awesome. The view was way more than we thought. 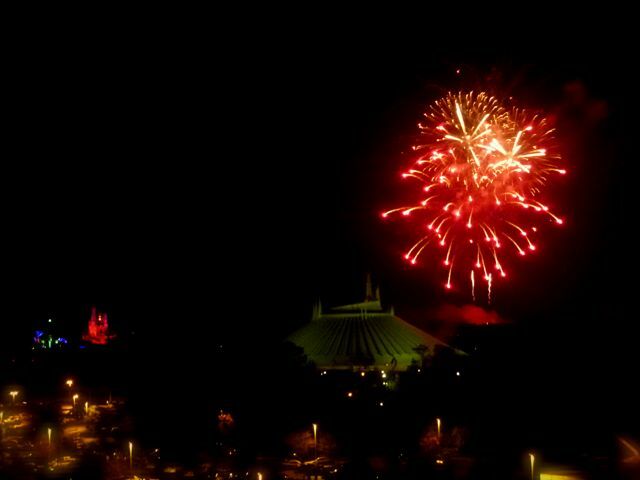 We did stay in the room two nights out of the four to watch Wishes, and it was never a disappointment. The fireworks were so beautiful from that viewpoint, and so much fun to watch snuggling on our balcony together. We played the music through our TV and our children thought it was spectacular. So much so, that our second half of the trip, where we stayed at another resort, they were utterly bummed they didn’t also have that view… though the other resort’s room view was also amazing once they realized. 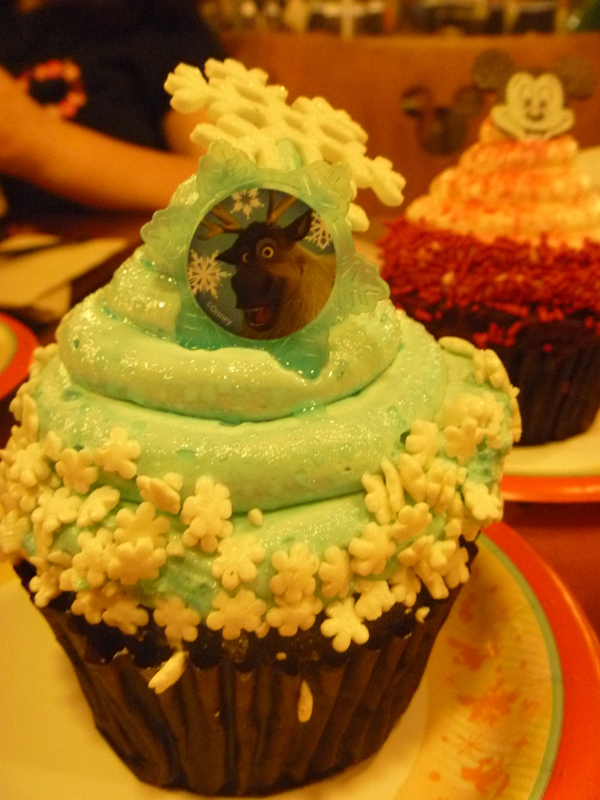 Well, we had eaten at The Contempo Cafe, The Wave and Chef Mickey’s, on different trips. They are all different experiences and basically, we let the kids decide this category cause we were meh over the food at them all, but if we had to choose, we’d say CM too. 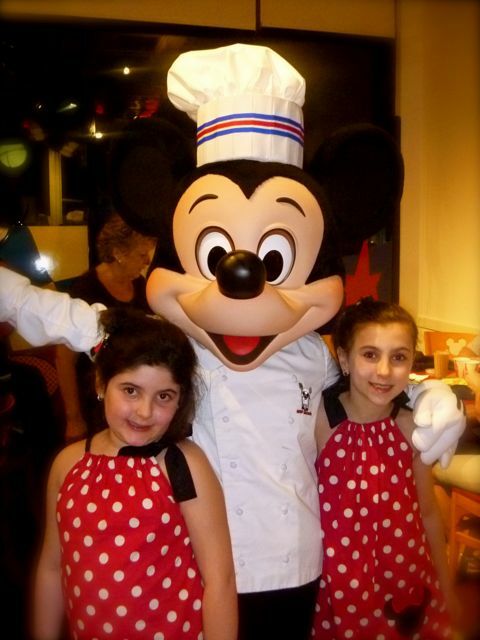 Chef Mickey was fun for the children, meeting Mickey and his pals, and the food was decent. They still say that this character meet was their favorite for Mickey and Goofy (Goofy blew my oldest a kiss… she was enchanted.). Place to Chill Out: This was a tough tie breaker to break..between the pool area and the bridge. But we chose… The bridge connecting Bay Lake Tower and the resort on the fifth floor. The view of the lake and other amenities is breathtakingly beautiful at all times of the day. There seemed to be a calming, warm breeze every time we walked over it. One evening we walked to our resort tower on the bridge to find the water pageant parade in full view. It is a great spot to hang out, take in the view and enjoy some quiet.